Elizabeth and Tara*Starr are best friends living in totally different parts of the country. They used to write letters to each other, but now they're both addicted to e-mail. Now they can share their problems instantly . . . and lately they've needed to do that a lot. Elizabeth is getting used to her parents' separation and the way her family is spinning out of control. Tara*Starr is dealing with some serious sister issues, as well as the growing differences between her and Elizabeth. Elizabeth and Tara-Starr are complete opposites. Elizabeth is cautious, practical, and responsible; Tara is the creative wild child daughter of hippie parents. Of course, this does not stop them from being best friends. 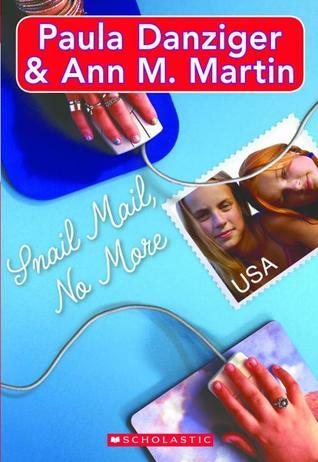 When Tara moves away, the girls must continue their friendship through letters and e-mails. Although miles apart, these faithful exchanges link them closer together during both good and bad times. Ann M. Martin and the late Paula Danziger are powerhouses of children's and middle grade literature. As the respective voices of Elizabeth and Tara, Martin and Danziger create distinctive and consistently entertaining, sympathetic characters. Their struggles are different (Elizabeth's father loses his job and turns to alcohol, while Tara's "cool" parents suddenly decide to become responsible adults). Yet, both girls complement one another in the right ways, supporting and caring for each other with every twist in their lives. Although their long-distance friendship is not without its hurdles, the girls feel realistic and refreshing in their honesty with and love for each other. Both novels are epistolary: while P.S. 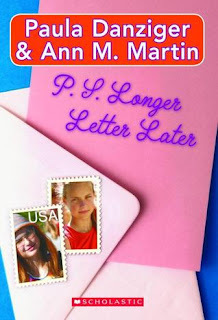 LONGER LETTER LATER is told through letters, its sequel, SNAIL MAIL NO MORE, updates to e-mails. The discussions of technology date the latter novel, which was originally published in 2000, slightly: no one has a cell phone; texting was unheard of; and the girls routinely "practice" sending emails and instant messages. However, the means of communication is never the focus--the content and stories are. The authors are honest, but also sensitive, in how they treat the girls' problems. Although the novels frankly discuss many difficult issues over the course of these girls' stories, the narrative is never didactic or heavy-handed. These realistic fiction works are recommended for 4th-9th grade. The letters are easy reads that make the books fly by; a wide age range will enjoy them both!